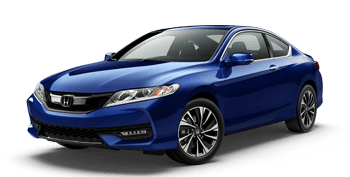 Inspire your drive through the streets of Goshen and Warsaw, IN in a sporty 2-door hardtop, shop our menu of attractive coupe sedans for sale at The Car Company. Give your weekly commute an upgrade with one of our comfortable, used subcompact, compact, mid-size or full-size sedans for sale at The Car Company. When you need to increase your cargo room and utility, opt for one of the used SUVs and crossovers we offer near Elkhart and Ft. Wayne. 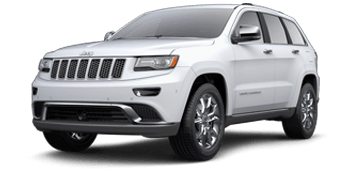 Opt for a 4x4 model before your next ski vacation. Need a 4x4 truck for the job site or weekend adventures? Take a look at our menu of used trucks and give your payload and towing performance an upgrade. 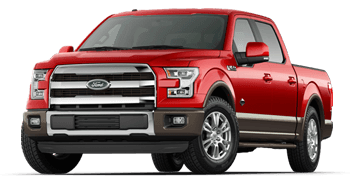 Take a road test in one of our reliable used pickups today. Welcome to The Car Company. We are a used car group in Goshen and Warsaw, Indiana. Our dealerships are here to assist with all of your automotive and motorcycle needs. 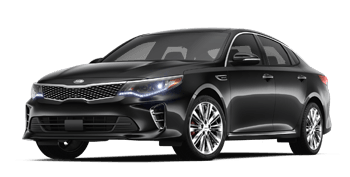 We are eager to guide you through The Car Company location nearest you. When you arrive, you will experience a zero-pressure, family-friendly atmosphere. If you are looking for used car financing near Elkhart and Ft. Wayne, we invite you to speak with our friendly finance department. Our team wants to help you secure an affordable auto loan. The Car Company offers an impressive menu of pre-owned vehicles with two convenient locations to serve you. Stop by either of our used car lots in Goshen and Warsaw, Indiana. You'll find the used SUV or 4x4 truck you need to boost your hauling abilities. Looking for a used dirt bike or ATV for some weekend fun? Browse our selection of used dirt bikes. From trucks to motorcycles, there is a used car waiting for you at our dealerships. Our used car sales associates know the trim features across our model lineup of pre-owned cars for sale. Let our team know which connected features you're looking for, and we'll present you with several impressive options. Whether you are searching for a used car, truck, or motorcycle, we hope you'll start and end your search at either Car Company location. After you take home one of our quality used SUVs, the professional auto mechanics in our service departments will maintain your vehicle to factory specifications. Both of our dealership locations boast a state-of-the-art service department. Discover the peace-of-mind that comes with professional auto repair while driving our Elkhart and Ft. Wayne roads. When it's time to book your first tire rotation or brake inspection, be sure to browse our money-saving service specials. From transmission repair to wiper blade installations, our service departments will tackle all of your car's maintenance needs. When it's time to bring in your vehicle, book your auto repair online. Our finance associates want you to drive home the car you have your eye one. To help, we offer competitive down payments and financing rates. The Car Company team is here to help you find a used car and used car financing. After you select the car and color you like, you'll find driver-friendly prices and competitive down payments. Drivers with a less-than-perfect credit score, please discover our credit-challenged financing options in Goshen and Warsaw, Indiana. If you need a used car loan, speak to the finance departments at The Car Company. Our teams are here to help you find the financing you're looking for near Elkhart and Ft. Wayne. After you pick your your next used motorcycle, our finance team is here to help you find an affordable monthly payment. Submitting a car loan application through our website carries no obligation. After our finance team reviews your credit history, we'll contact you to let you know the payment structures you qualify for. The Car Company boasts two convenient locations to serve you. Our dealership group makes it easy to find the used ATV or 4x4 truck you deserve. We hope you'll browse through our website and reach out when you're ready to schedule your test drive. We hope to see you soon at The Car Company in Goshen and Warsaw, Indiana. If you're thinking about taking home one of our used trucks or SUVs, you might be wondering what you should do with your current vehicle. Trading in your used car to our dealership is a quick way to lower the price of your purchase. You can estimate the value of your trade in a few quick steps. To determine the value of your vehicle, we use independent auto appraisers to ensure you receive fair market value. Tell our team about your current vehicle, and we can appraise your trade-in value on-site.